I invite and ask for your support towards your technical training, development of newer strategies, supporting your community, and meeting new cousins from different schools. 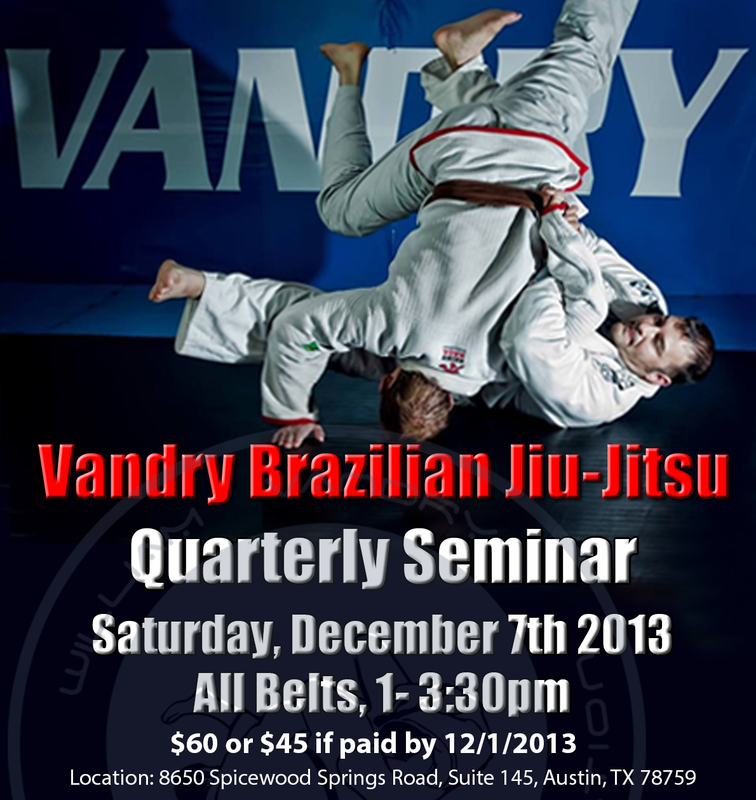 Our December 7, 2013 VBJJA quarterly clinic will be one clinic for 2 and 1/2 hours of the newest techniques, strategies and theories to develop as a better martial artist. We will have a Christmas pot luck lunch at the academy from 3-5pm. I look forward to seeing all of my supporters and community!